Everyone is welcome to visit during our open hours. 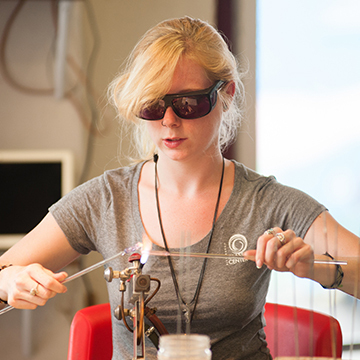 Take a self-guided tour to see contemporary glass art in the Hodge Gallery and peek into our four studios. However, if you are seeking something more, check out our classes and events. Email or call us at 412-365-2145 to schedule a group experience. 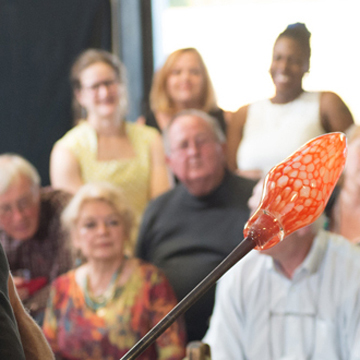 In this 1-hour option, pre-registered groups receive a narrated glassblowing and/or flameworking demonstration and watch artists create amazing glass art. 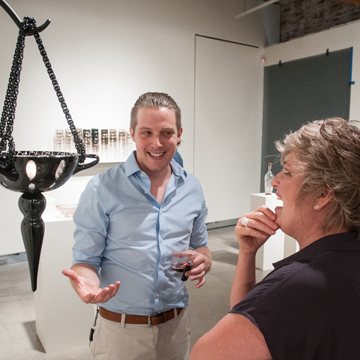 This is followed by a guided tour of PGC’s contemporary glass art gallery and a brief education on Pittsburgh’s lesser-known but incredibly rich glassmaking history. This option does not include a hands-on experience. Also a 1-hour option, Private Make-it-Now sessions can include 5 or more people, who each collaborate with an instructor for 15-20 minutes to make one item per person. 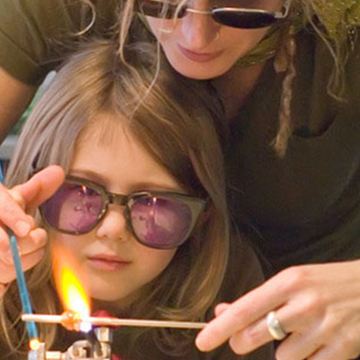 Sample the glassmaking experience and create a keepsake in the process. With a group of 5 or more, schedule a 2-hour Make-It-Now + Demonstration + Tour session that offers the opportunity to see artists work together to create glass art before you make your own. 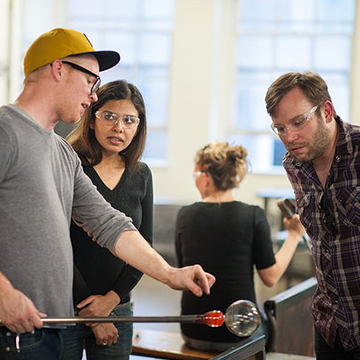 Afterwards, tour the PGC facility to learn more about studio glass art and Pittsburgh’s own remarkable glassmaking history. With 4 or more people, schedule a 2-hour private workshop. 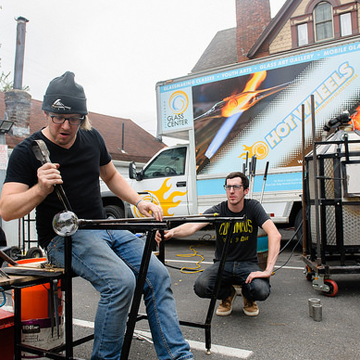 This is a fully hands-on experience, except instructors will gather glass from the furnace. Each person will make two items. Choose from any 2-hour workshop listed on this website.